The Hospital Quality Institute is pleased to release the Improvement Pocket Guide, a quick reference tool promoting Define – Measure – Analyze – Improve – Control (DMAIC), a step-by-step approach to process improvement that is grounded in structure, discipline and rigor. The goal of DMAIC is not only to improve the process as defined by your problem statement, but also to sustain the improvements. 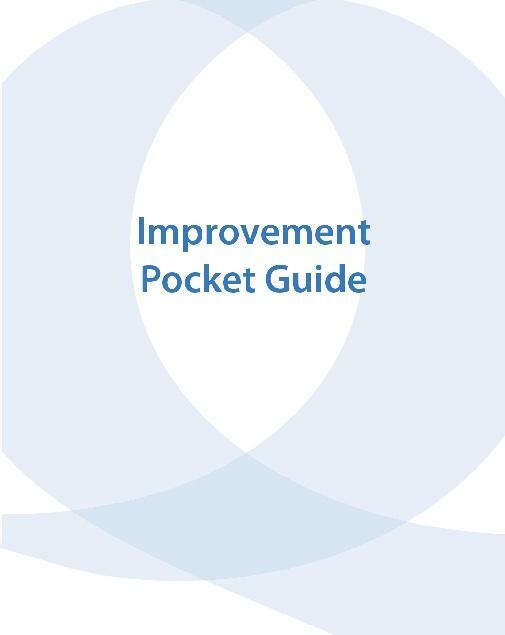 The handy Improvement Pocket Guide was designed to carry in your pocket for easy accessibility. Order for your team today. HQI Publication Sales are being distributed by California Association of Hospital and Health Systems.